The vibrant and busy skate scene of Barcelona once again brought me to the beautiful city, where there is more good quality tarmac than anywhere I have ever skated. However, as I left Madrid the weather forecast for the weekend was truly frightening, heavy rain, storms, lightning. My heart sank. 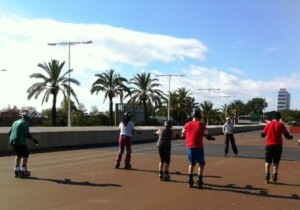 I was deeply worried about where we would skate and how we would complete the training in such conditions. 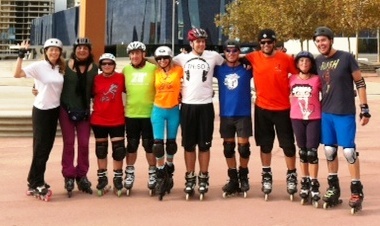 The skaters in this group came from Barcelona, Zaragoza (a city 300km away) and a small town 20 mins from Barcelona. 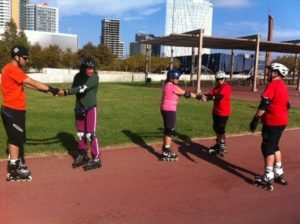 Some had heard of the ICP course from ICP’s sponsor Rollerblade and their website and others from the Barcelona skate community which now has ICP certified instructors from the program that ran in June 2013. During the theory session on Friday evening the lightning was spectacular, but it had stayed dry during Friday afternoon skating. Saturday and Sunday turned out to be the biggest surprise, as not a drop of rain fell on us all weekend, despite the forecasts. I’ve never felt so relieved in my life. 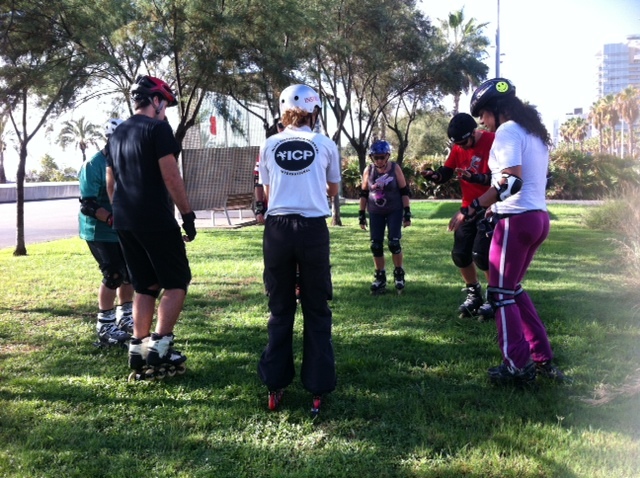 The weekend was the usual intense roller coaster of skating, teaching and steep learning curves. We were joined on Sunday by several candidates who came to retake their teaching exams and this added new energy and enthusiasm into the group. 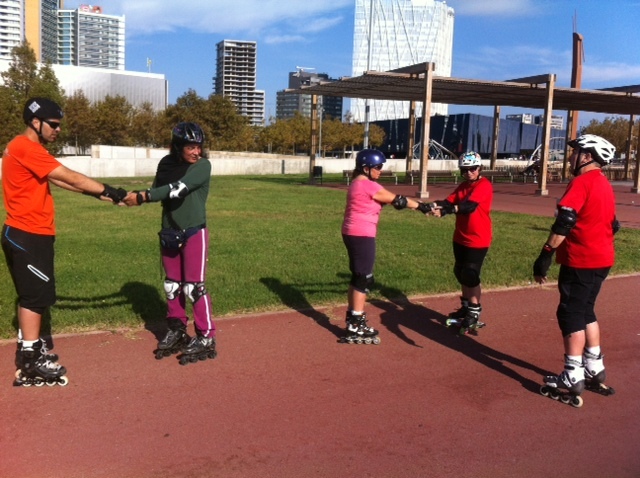 I now have more locations in Spain to visit as each time I run a course I learn about a new town or city with a thriving skate scene, growing clubs and groups who give regular lessons and tours. I recommend anyone to come to Spain if they want to meet friendly skaters and have kilometres of great tarmac in every direction. And of course blue skies! I’ll be back in 2014! 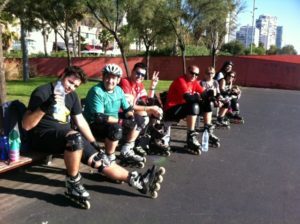 Viva el patinaje en Espana!